Applying to a school should be as easy as possible, so we use a common application. You can complete it online or download the application (see tabs below). If you have any questions, feel free to contact us at admission@ethelwalker.org or (860) 408-4200. A personal interview is required for all applicants. We strongly encourage a campus visit and interview with an Admissions officer. If you are unable to visit because of distance, we can arrange a Skype or telephone interview. Character and personal growth are an integral part of a Walker's education. Grades and test scores just don’t tell us the whole story of your child. The Character Skills Snapshot gives us richer holistic information and illuminates areas where Walker's can help your child grow and thrive. If you have already filled out our online Inquiry form and received login information via email, please log in to our Admission Portal to begin the online application process. To set up a new account, please complete our Inquiry form. 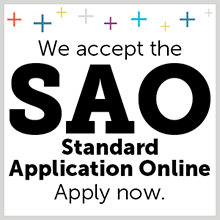 We also accept the TABS or SSAT common application and the online application from Gateway to Prep Schools. The priority deadline for first-round applications is January 15. Applications received after January 15 will be considered on a space-available basis. The Ethel Walker School admits students of any race, color, religion, or national and ethnic origin to all of the rights, privileges, programs and activities generally accorded or made available to students at the school. The school not discriminate on the basis of race, color, religion, or national and ethnic origin in the administration of its educational policies, scholarship and loan programs, athletics and other school-administered programs.